Mountain View Properties is an independent real estate brokerage with an office located in Pierce County near Lake Tapps. The office is a member of the NWMLS, staffed by Realtors. Karlyne McGinnis is the experienced broker-owner. The brokerage was founded in 1980 with the belief that bigger is not necessarily better. The key to success is to maintain highly motivated, educated, trained, ethical agents that are dedicated to old fashioned service. Business is all about the people, the client's needs come first. Agents continuously stay on the leading edge of the real estate market providing state-of-the-art services and resources through education and communication. 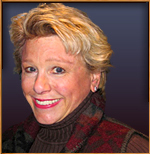 Phyllis Hartford is a strong member of Mountain View Properties team, she offers professional real estate services in a remote mountain location where meeting the needs of her clients works best from a home office.